Mary Cay Brass began her involvement with traditional music at the age of nine when her Croatian neighbors invited her to join a children’s folk dance troupe. Later, while at the University of Minnesota she encountered numerous folk dance groups at the height of the folk revival in the 70’s. She was among the founding members of a folk dance performance ensemble which later became the Ethnic Dance Theatre. The group, mostly college student and young professionals were passionately focused on the song and dance traditions of the Balkan region. Upon graduating with a degree in ethnomusicology, Mary Cay won a Fullbright Scholarship to the former Yugoslavia. For two years she studied the language, worked with ethnomusicologists in Croatia and Serbia, attended festivals and dance seminars throughout the former Yugoslavia and conducted fieldwork in the singing traditions of the region. After finishing the Fullbright Mary Cay moved to New York City where she worked initially for the Balkan Arts Center, later the Yugoslav New Agency, Tanjug, and then attended graduate school at Columbia University in Teaching English as a Second Language. At this time she picked up an old accordion from an old Swedish accordion collector in Minneapolis and began a life-long love of that instrument as an accompaniment to the songs of Eastern Europe. 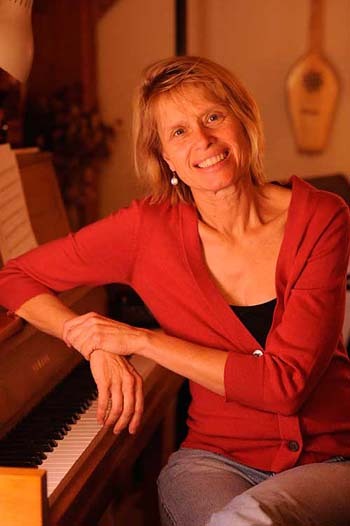 At the same time she was introduced to the contra dance musical traditions of New England and began passionately learning everything she could about the piano back up traditions to fiddle tunes as well as learning the tunes on accordion. This led to a move to southern Vermont in 1984 where she became part of a thriving traditional music scene. Forming the Greenfield Dance Band with fiddler David Kaynor and bassist, Stuart Kenney and later guitar, mandolin player, Peter Siegel, Brass began playing regularly in Greenfield and throughout the country at dances, festivals and camps. She has numerous recordings with fiddlers Rodney Miller, Sarah Blair, Becky Tracy, David Kaynor and others. In 1989, Mary Cay received a call from Larry Gordon who was considering starting a singing camp for teenagers that would focus on traditional singing from many cultures. Thus began a 25 year history of leading Village Harmony camps for teens and adults which has most recently led to three highly successful trips to Bosnia where participants learned urban, village, secular and sacred singing traditions from the Muslim, Croatian, Serbian and Sephardic peoples and four camps in Macedonia. Mary Cay will co-lead a first ever Village Harmony camp in Lithuania in the summer of 2017. The experience with Village Harmony led Mary Cay to form a local community choir The River Singers in Saxtons River, Vermont and later Greenfield Harmony in Greenfield, Massachusetts. Both groups are rollicking intergenerational choruses of about 80- 90 singers, that explore the vocal music cultures of many community-based world traditions – from the Balkans, the Republic of Georgia, Africa, the British Isles, France, and American folk traditions such as shape note, Appalachian and African-American gospel. Mary Cay regularly invites in guest teachers – specialists in various world traditions – to work with the groups learning vocal style and giving a greater cultural context to the songs. The group has worked with teachers from Albania, Bulgaria, Africa, the Republic of Georgia, Russia, England, and Macedonia. The River Singers have also hosted choirs from many countries including England, France, Holland, the Republic of Georgia and Kenya. Each of the choirs’ concerts are performed as a benefit for some local or global organization doing grassroots work to promote cultural understanding. An outgrowth of all of this community singing has been the creation of Hallowell – a group of singers who offer songs for healing and comfort at the bedsides of the ill or dying. Facilitated by Kathy Leo, Mary Cay and colleague, Peter Amidon are the two musical directors drawing on years of experience as choral leaders. Hallowell sings a wide range of music from liturgical chants, traditonal hymns, to Appalachian folk songs, South African freedom songs, and Eastern European folk songs. Hallowell has recorded two CD with a companion songbook to the first CD which has encouraged the founding of dozens of other hospice choirs around the country.